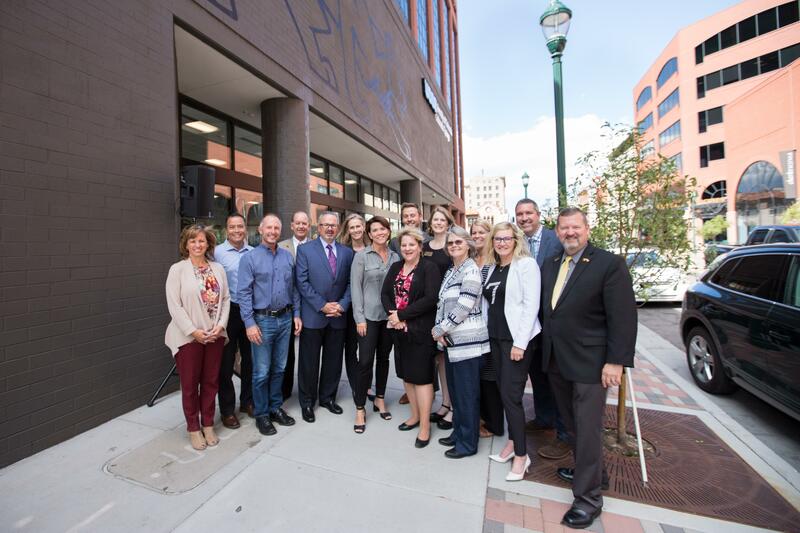 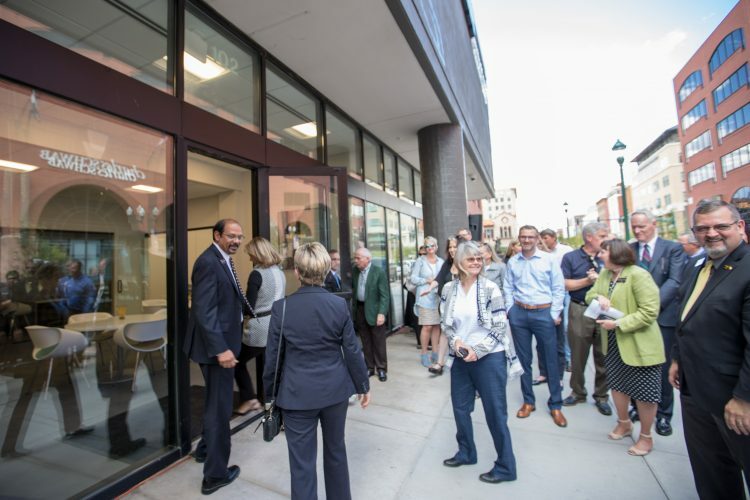 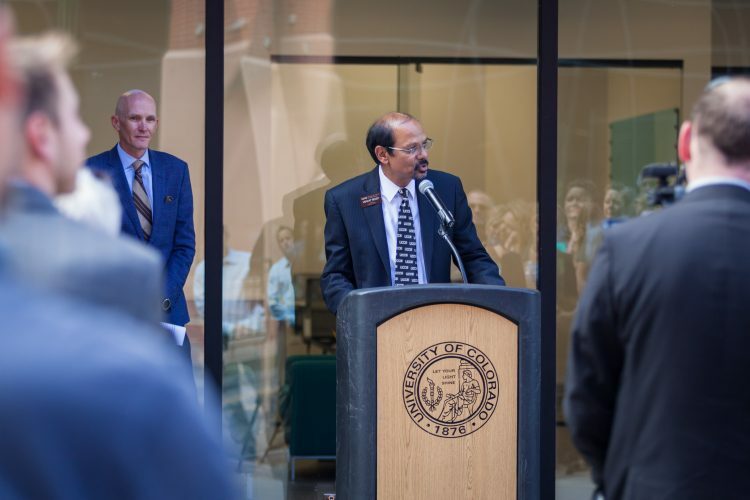 Opting for a “door opening” ceremony as opposed to the traditional “ribbon cutting” festivities, city and university officials celebrated the opening of UCCS Downtown Sept. 10. 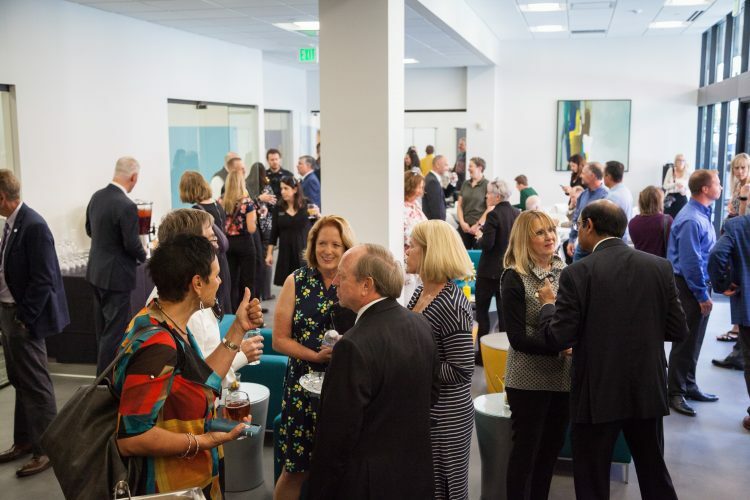 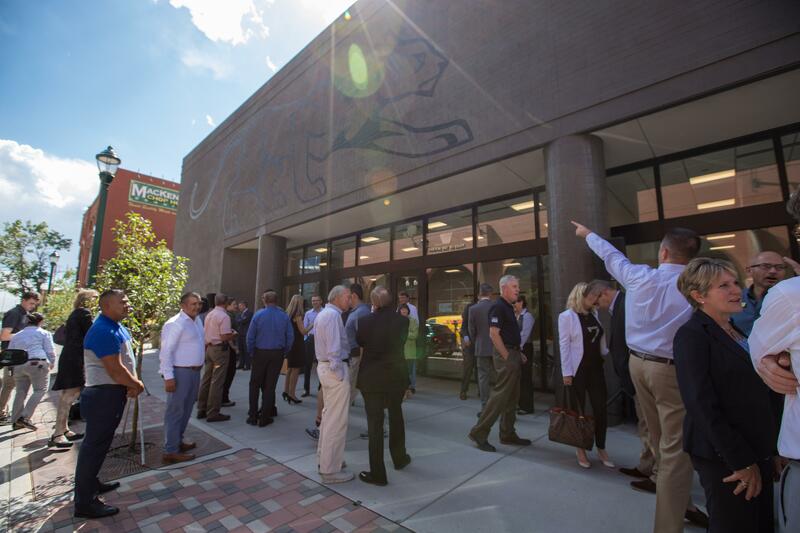 The 3,000-square foot facility, distinct from the surrounding buildings with a large mountain lion graphic above the main entrance, will host non-credit certificate programs, community meetings, and serve as a launching point for UCCS into the downtown Colorado Springs community. 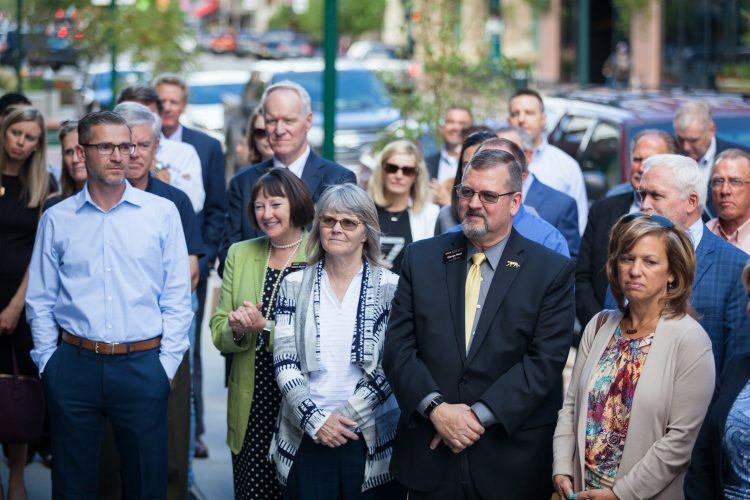 John Suthers, mayor, City of Colorado Springs; Mark Waller, district 2 commissioner, El Paso County; and Chris Jenkins, chief executive officer, Nor’wood Development Group; provided comments to the crowd. CU Board of Regents chair Sue Sharkey and Board of Regents member Kyle Hybl ceremonially opened the doors for the first times to welcome the crowd into the facility. 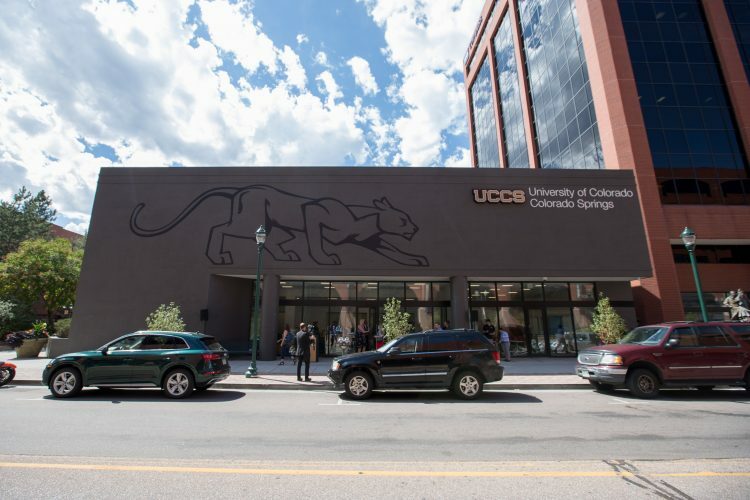 The UCCS Downtown concept was developed by the Regional Connect, a UCCS organization made up of campus and community leaders. 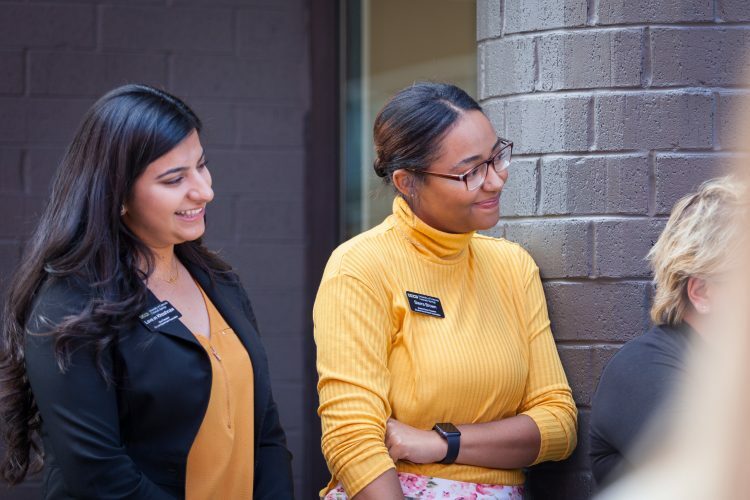 The group serves as a way to connect UCCS with the government and business communities to develop partnerships for the growth of the campus, identifying career options to benefit graduating students and to provide value to the Colorado Springs community. 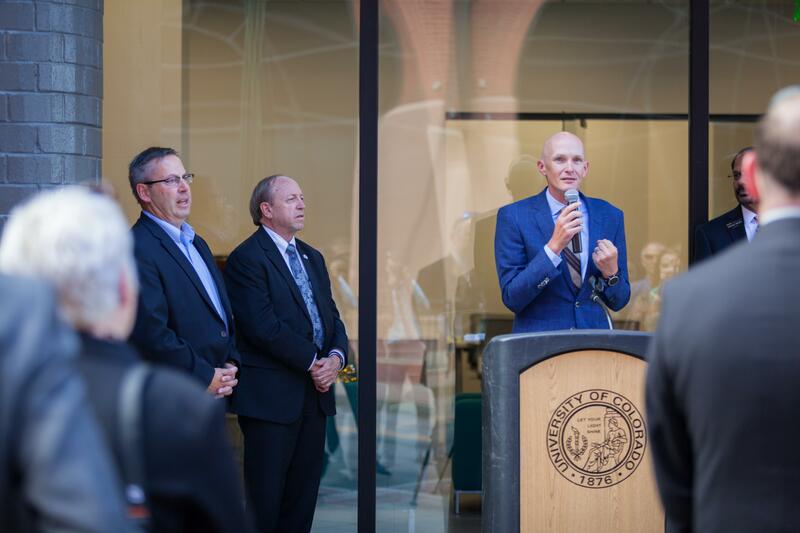 Chris Jenkins, chief executive officer, Nor’wood Development Group, speaks during the opening ceremony of UCCS Downtown.